The survey was entitled “Perceptions of the Candidates to the 2016 Philippine Presidential Elections.” It was undertaken to encourage the discriminate use of the right to suffrage. Thus, questions were deliberately phrased as might human resource personnel ask themselves when attempting to ascertain how qualified applicants are to a particular job. This survey was administered online by way of social media over 4 days, with a total of 150 respondents. This survey has no illusions about how it may impact the national elections; and for whatever purpose it may serve, the survey has a 9% margin of error at 95% confidence level. I was hoping for more, but the survey was an imposition in itself and I did not wish to overkill its promotion over social media. The sample was random to a certain degree; albeit respondents were naturally limited to my own personal connections over social media and some of their connections as well. Sixty-one per cent of all respondents were male. 30% were from the 18-30 age group, 50% from the 31-45 age group and 13 % from the 46-60 age group. There were no respondents older than 60 years of age. Two-thirds of the respondents are also from the Province of Batangas; and while I deliberately limited my profiling questions, it can safely be assumed that most if not all of the respondents possessed a college education. The survey assumed that all respondents formed perceptions based on their individual exposure to news about the presidential candidates along with both positive and negative campaigns being run over traditional and modern media. Furthermore, it assumed that respondents took the survey once only and that everyone took its contents seriously. The latter certainly seems the case as only 15 or 10% of all respondents opted straight for one candidate to answer all of the survey’s questions. If this was the case and the survey somehow made each respondent pause to examine his or her own choice in light of the questions asked, then the survey would already have achieved its purpose. I deliberately did not include a question on respondents’ likely votes for President partly because I believe the vote is sacrosanct and best left to the polling station; but also because I did not want this to be just another pointless survey which so many others are undertaking. Who has the educational background and work experience best suited to the role of President? Who has correctly identified the most pressing concerns of the Philippines? 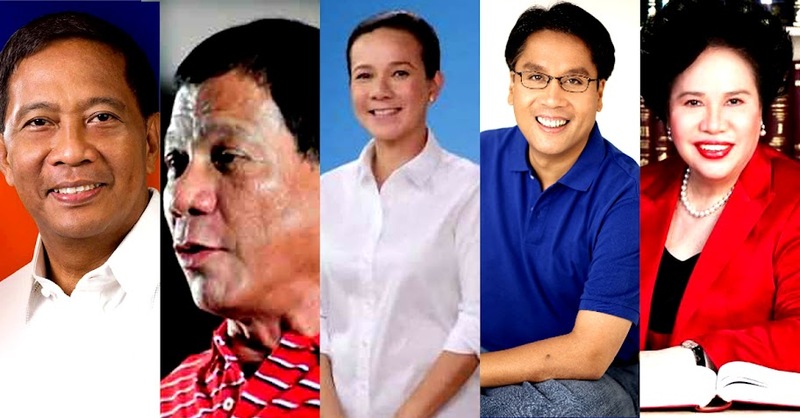 Who has the best personality to lead the nation and diplomatic skills to represent the Philippines internationally?